Perhaps it's only fitting that as we reach the second anniversary of the horrific shoot-down of Malaysia Airlines Flights 17, The New York Times would mark the occasion by once more using the tragedy as a propaganda club to advance the neocon goal of a new, costly and very dangerous Cold War with Russia. Since that moment, the Times and other mainstream Western publications have been determined to pin the blame for the deaths of 298 people on Russian President Vladimir Putin so the world could plunge ahead into the latest neocon scheme of destabilizing nuclear-armed Russia with the eventual aim of "regime change" in Moscow. As revolting as it has been to watch the deaths of innocents exploited in the name of big-power geopolitics, what has been most troubling from a journalistic perspective is that the Times has cast aside any pretense of professional objectivity, much as it did during the deception of the American public over Iraq's fictitious weapons of mass destruction in 2002-2003. What the Times leaves out is the fact that Western intelligence has already confirmed that Ukraine's military did have powerful anti-aircraft missiles in eastern Ukraine on July 17, 2014. Last October, a Dutch intelligence report stated that fact based on NATO intelligence gathering, i.e., the West's own satellite and other data collection. Indeed, the Netherlands' Military Intelligence and Security Service (MIVD) concluded that the only anti-aircraft weapons in eastern Ukraine capable of bringing down MH-17 at 33,000 feet belonged to the Ukrainian government, not the ethnic Russian rebels. "Prior to the crash, the MIVD knew that, in addition to light aircraft artillery, the Separatists also possessed short-range portable air defence systems (man-portable air-defence systems; MANPADS) and that they possibly possessed short-range vehicle-borne air-defence systems. 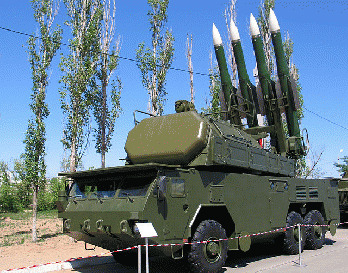 Both types of systems are considered surface-to-air missiles (SAMs). Due to their limited range they do not constitute a danger to civil aviation at cruising altitude." Instead, reporter Andrew E. Kramer, who has been a regular contributor to the Times' anti-Russian propaganda campaign, treats the findings by some nuclear arms control researchers at the Middlebury Institute for International Studies as definitive though there's no reason to believe that these folks have any special expertise in applying this software whose creator says requires careful analysis.